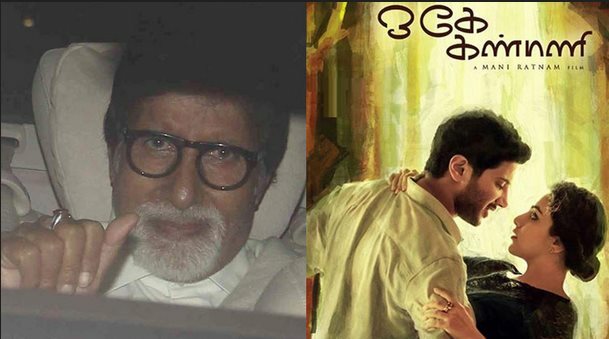 Megastar Amitabh Bachchan has heaped praise on filmmaker Mani Ratnam's latest Tamil Hit "OK Kanmani", saying the film is told in an endearing way, capturing the essence of the changing times. The 72-year-old took to his official blog to share his views about the film after watching it with his daughter Shweta Nanda. “Shweta and I get to see Mani Ratnam’s new and fresh Tamil film at a trial, and it is a sweet and endearing story of love among the young. Fresh and with a sense of the changing times, in keeping with the sensibilities of this generation, it shows compassion and example with great dexterity,” he posted on his tumblr page. 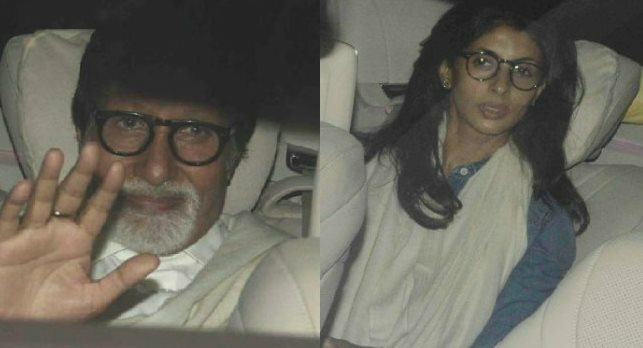 Bollywood celebrities Amitabh Bachchan, his daughter Shweta Nanda stepped out after a special screening ‘O Kadhal Kanmani’ in Mumbai. The “Paa” actor lauded film's star cast - Dulquer Salmaan and Nitya Menen - for portraying the role with conviction. “Values are not lost in the practices that this generation may desire, but sufficient understanding on both parts is beautifully portrayed by two young performers who play the lead. “They are a delight to watch - the boy, Mammootty’s son...Mammootty the mega star of Malayalam Cinema in Kerala...and equally a sprightly love interest in his opposite number...a young lady of enormous verve,” he added. "O Kadhal Kanmani", which has been raved about by critics and audiences alike, minted over Rs.14 crore at the box office worldwide in the first four days since its release on April 17.